We Meet The People Where They're At…PERIOD! It’s that time of year, Family & Friends! We can hardly wait to party with you for a worthy cause! 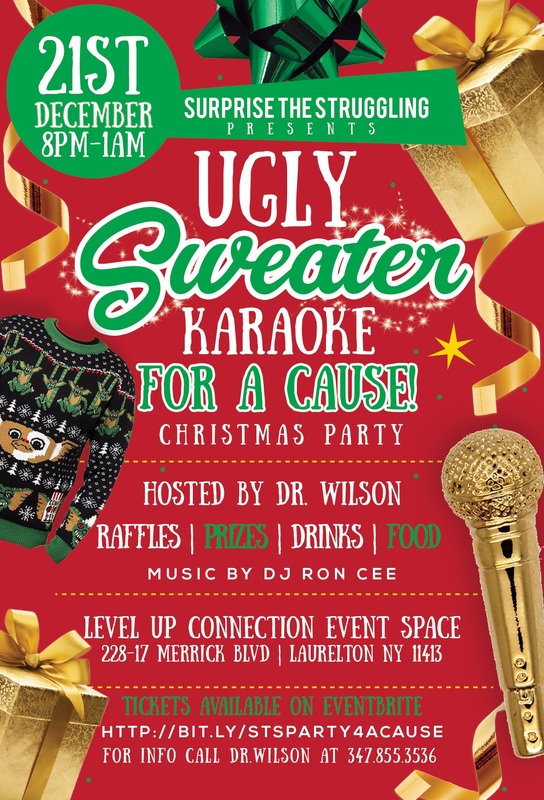 Come out to our Ugly Sweater and Karaoke For a Cause Event on Friday, December 21st, 2018 starting at 8:00 PM at Level Up Connection Event Space in, Laurelton, New York. 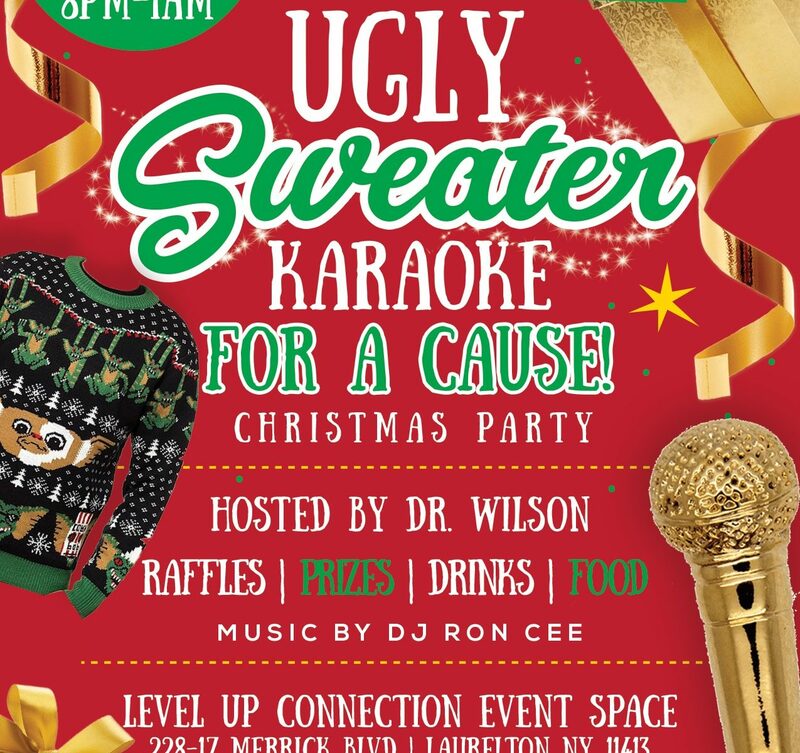 Music will be provided by Connecticut’s own, DJ Ron C. ( @exodus_ron_c; on IG) The evening’s festivities will be hosted by #SurpriseTheStruggling’s Founder and Executive Director, Chaplain Dr. Jacquelyn Wilson. There will food, drinks, raffles, and a prize for the ugliest sweater worn! Tickets are $25 per person, available on our Eventbrite site Surprise The Struggling, Inc. All proceeds donated this evening will benefit Surprise The Struggling and our continued endeavors to aid homeless women and teen girls. If you are unable to make it, please feel free to make a donation on our website on our giving back page. No amount is too small!